While it seems the CME is the dominant player in futures in the US, ICE has been coming along as a competitor in the quest for global dominance as the top futures exchange. Most people immediately jump to a look at volumes in WTI Crude Oil (CME Product) and Brent (ICE product) as a proxy for how each exchange is doing in markets they compete in. Back around 2002, the Russell family of indexes launched an innovative project where they would license its indexes on a non-exclusive basis to any exchange willing to pay a fee. Several exchanges jumped at the chance. One of the issues for Russell, at the time, was that although the CME had made a huge success of the Russell 2000, its broad market benchmark Russell 1000 was not doing much volume there. This despite that the fact that more financial entities actually used the Russell 1000 as a benchmark for broad market performance than the S&P 500. The two indexes were highly correlated, approximately 99%, so it didn’t make much sense for a trader — even one who used the 1000 as a benchmark — to utilize the futures product to hedge when the S&P 500 was so liquid. While several exchanges jumped at the opportunity to list futures on its products, the liquidity remained with the CME. But in 2007, when the CME was doing battle with ICE with competing bids for the Chicago Board of Trade, Russell saw an opportunity. 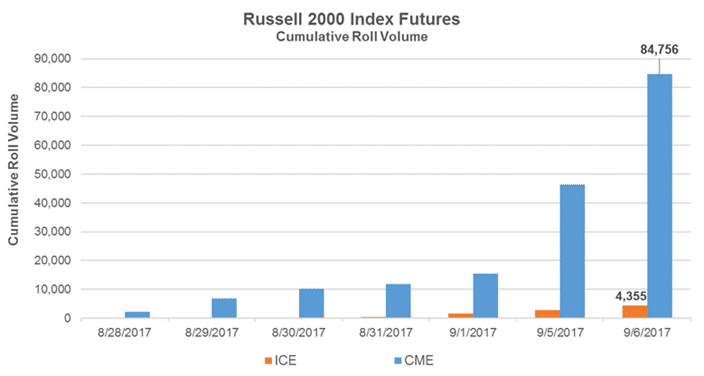 It still felt that the Russell 1000 futures was a viable product and needed to be promoted by an exchange not conflicted, so when the most recent license ran out, ICE and Russell entered into an exclusive arrangement for ICE to list the 2000. This was a huge boost to ICE, which up to that point was not considered a serious threat to CME’s bid, but this move would leave a mark. For professional retail traders, alike, this move is potentially a cost saver. 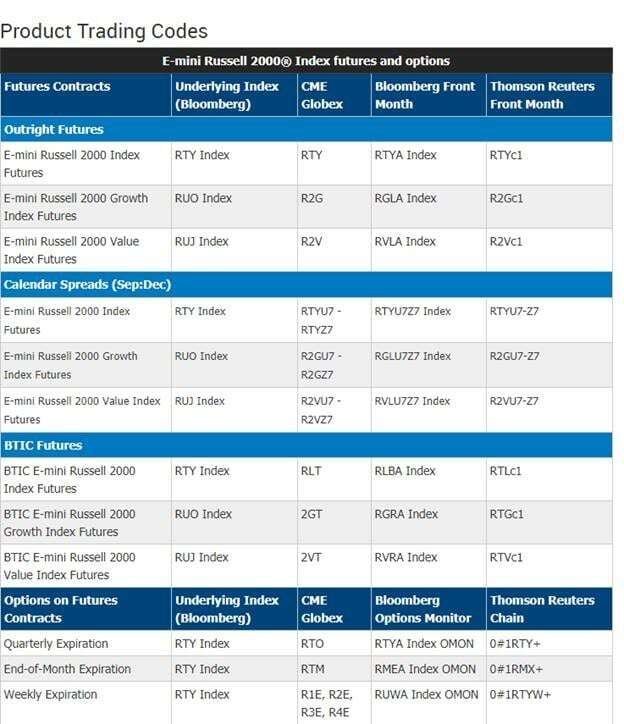 For traders that haven’t already made the switch, or those interested in the Russell 2000 family contracts. You can find more information on the contract switches from the CME here.